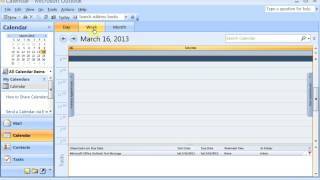 In this video learn about Contacts, Calendar, set appointments, Tasks, Notes, Outlook options and create signatures. 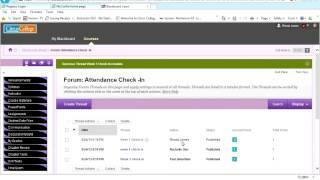 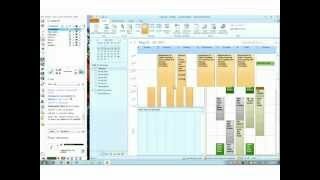 An introduction to a scheduling and organizing program. 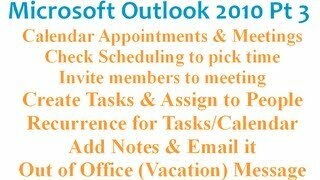 Topicsinclude creating and editing a calendar, contacts, task list,journal, notes, synchronizing personal digital assistant, andcommunicating with an electronic mail system. 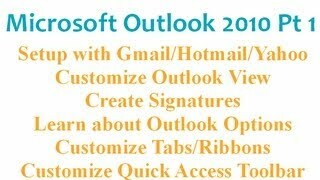 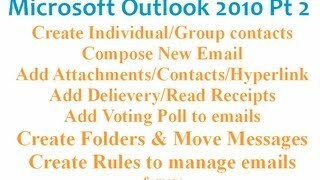 Tutorial for Microsoft Outlook 2007 covering some of the advanced features in the application including using, creating, editing signatures, distribution lists, tasks, and calendars and more. 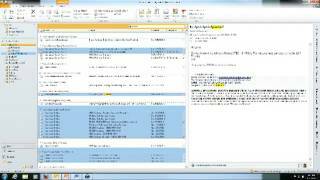 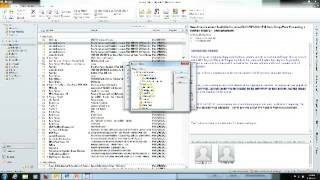 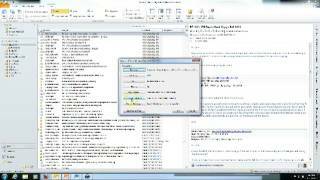 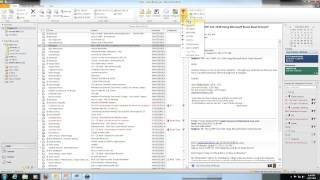 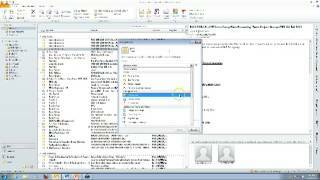 Lynnette Mann demonstrates how Microsoft Outlook 2010 Folders can help to organize e-mails, so that searching becomes easier and the Inbox becomes less cluttered. 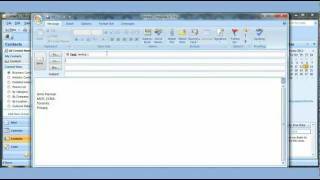 Having a Favorites folder is also recommended. 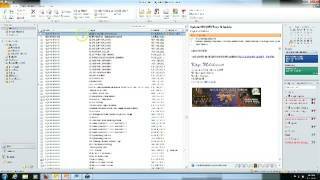 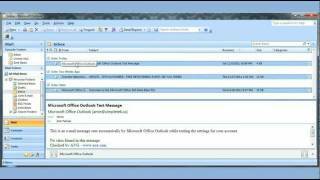 Lynn Mann teaches how to use Outlook 2010 to organize e-mail. 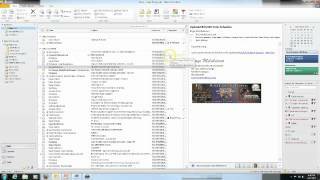 Topics covered: Changing Views, Creating Folders, Tags (Flags, Categories), Creating and Running Rules, Creating and Using Quick parts.